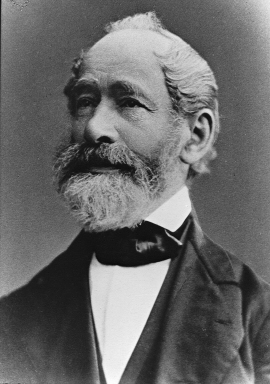 Carl Zeiss (September 11, 1816—December 3, 1888) was a German industrialist who gained a worldwide reputation as a manufacturer of fine optical instruments. 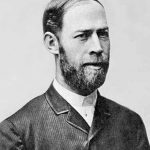 The firm of Carl Zeiss grew to one of the largest and most respected optical firms in the world. 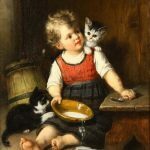 Carl showed an interest in technical studies very early, to the extent that he attended lectures at the grand ducal technical school in Weimar and finally decided to pursue an apprenticeship as a master machinist. 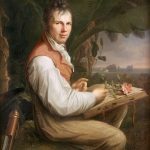 He moved to Jena in 1834 to pursue an apprenticeship under the “Hofmechanikus,” court-appointed fine machinist, and private docent at the University of Jena, Friedrich Körner (1778–1847). He focused on the construction of experimental scientific apparatus, and finally set himself up as an independent fine machinist. Zeiss opened the doors of his workshop on 17 November 1846 with an initial capital investment of 100 Thalers which he had borrowed from his brother Eduard and which was later repaid by his father August. It is very difficult to compare the value of historic currencies, but for example by 1849 the workshop earned a profit of 197 Taler on sales of 901 Taler. Zeiss initially worked alone constructing and repairing many types of physical and chemical apparatus. Loupes cut from mirror blanks were particularly in demand. Eyeglasses, telescopes, microscopes, drawing instruments, thermometers, barometers, balances, glassblowing accessories and other apparatus purchased from foreign suppliers were also sold in a small shop. In 1847 he began to make simple microscopes which almost immediately met with especially good commercial success. Compared to his competition Vincent Chevalier of Paris, Simon Plössl of VIenna or his mentor Körner, they proved to be not only cheaper, but better. Microscopes from Zeiss achieved the fine focus by movement of the column which carried the optics, instead of the object stage. Zeiss’ method was more convenient on a dissecting microscope. 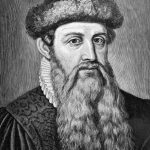 Zeiss ran his workshop in a strict paternalistic fashion. Microscopes produced by the apprentices which did not meet the strict standards of precision he set were destroyed on the workshop anvil personally by Zeiss. The working hours of the shop were 6 AM until 7 PM. A mid morning break of 15 minutes and a midday break of an hour made for an 11 ¾ hours workday. Despite these strict rules, the working environment in the shop was very good. New recruits to the workshop were interviewed extensively in his home over a glass of wine. As the firm expanded by 1875, the Zeiss health clinic was established which guaranteed employees free treatment by a clinic doctor and free access to medication. If a worker was unable to work, wages were paid for six weeks with a further six weeks at half wages. 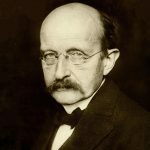 These forward-thinking policies even precede Otto von Bismarck’s state welfare laws introduced in 1883. Worker morale at the Zeiss works was consistently good. Production of microscopes in 1846 was a handcraft and art more than manufacturing enterprise. Each worker produced an instrument from start to finish without any division of labor. Early examples were even signed with the maker’s name. Only such assemblies which were particularly time consuming, such as the stage, were prepared in series in advance. The first moves to more efficient division of labor were made in 1857 when Zeiss separated optics under Löber from the metalwork of the stand. Zeiss was from the beginning more a fine machinist than an optician. This meant that he was less constrained by the traditional work methods and thinking of contemporary opticians and more open to innovation. The optics for the simple microscope included a triplet of 200x magnification and one of 300x magnification. These pushed the limits of the simple microscope. Greater magnification would require compound microscopes. 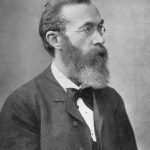 Zeiss would need to expand his offerings if he was not to be made irrelevant by his competitors. 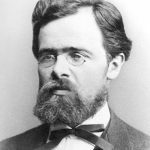 Realizing that improvements in optical instruments depended on advances in optical theory, in 1866 he engaged as a research worker Ernst Abbe, a physics and mathematics lecturer (later professor) at the University of Jena, who soon became Zeiss’s partner. 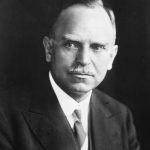 They engaged Otto Schott, a chemist, who developed about 100 new kinds of optical glass and numerous types of heat-resistant glass (later called Jena glass) at a glassworks the three founded. After the death of Zeiss, Abbe donated the Zeiss firm and his share in the glassworks to the Carl Zeiss Foundation. After Schott’s death in 1935, his share in the glassworks was added to the foundation. In 1945 the Zeiss facilities in Jena were bombed in Allied raids, and the firm’s employees and assets were subsequently dispersed, with rival enterprises in East and West Germany doing business under the Carl Zeiss name until they combined in 1991.